Created just for babies and toddlers! Welcome To The Happy Teeth™ Family! Natural baby toothpaste for kids three and under to help prevent cavities in tiny teeth and gums. Babies and Toddlers LOVE the real pear and apple flavor! What Makes Happy Teeth™ So Special? We believe there is nothing more important than your baby’s health. That’s what makes Happy Teeth™ so special. 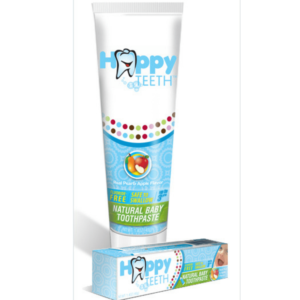 Happy Teeth™ is specially formulated just for babies and toddlers 3 and under. It is safe to swallow with zero fluoride, sulfates, gluten, artificial flavors, colors or preservatives. 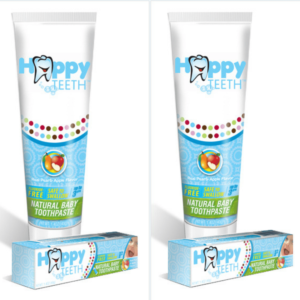 Made with xylitol, a 100% natural sweetener known to help prevent cavities and tiny teeth, Happy Teeth™ uses safe and natural ingredients to gently remove plaque-building sugars away from tiny teeth and gums (which can be caused by breast milk and formula left on the teeth and gums after feeding) to help keep them healthy and cavity free. 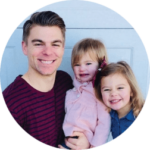 As a mom, and like most other mommies and daddies, Founder and CEO of Happy Teeth™, Kasey Pitillo knows, taste is critical when it comes to babies and toddlers – we’ve got this covered! Babies and Toddlers LOVE the real pear and apple flavor!! There is no doubt that new mommies and daddies can be overwhelmed by what to do and what not to do; what products to use and what products to avoid. 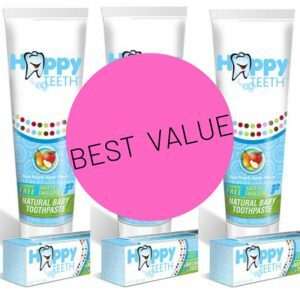 Let Happy Teeth™ be one less thing you need to worry about as we have developed a perfectly formulated toothpaste just for your baby and toddler during this very special stage of development. And, that’s s not all, we also help parents get quick and easy information about teaching your children great habits that will last a lifetime. Visit our resources center and learn Your baby can grow to naturally love brushing their teeth – and it all starts with you! Our baby toothpaste for kids is recommended by medical and dental professionals across the country, giving you the assurance that our products meet professional standards of health, safety, and wellness for your baby. See why dentists recommend Happy Teeth™. Sing-along to our jingle, download the ebook, and learn easy ways to have fun with your baby while cleaning tiny teeth and gums. 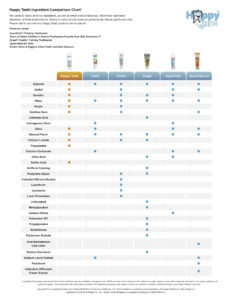 Explore our full line of natural, safe, and easy-to-use Happy Teeth™ products. We tried a bunch of toothpastes but my daughters didn’t like any of the flavors. My dentist recommended Happy Teeth™. My kids love the pear apple flavor and it has made brushing easy and fun! Toothpaste for babies and toddlers that is 100% natural, gentle, safe, and easy-to-use. We also provide resources to parents to help them make informed decisions about their children’s oral care while simultaneously making healthy kids dental habits fun!